Welcome to Fuerteventura Surf Camp! In this site you can organize your surf trip in Fuerteventura, we can offer you the best surf schools, accommodations, surf houses in Corralejo and the best daily events of Fuerteventura. The Canary Islands are considered the Hawaii of Europe, where spring and summer are the main seasons, and the sun, sea and wind are the protagonists. 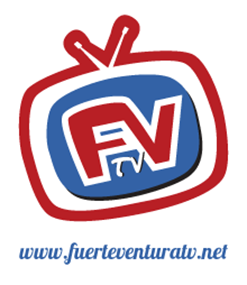 Learn more about Fuerteventura on www.fuerteventuratv.net. Surfing is a fantastic sport that awakens your emotions. Our surf lessons along with people coming from all over the world are an unforgettable experience! Beginner Surf Lessons: Individual and group lessons. Intermediate and Advanced Surf Lessons: We approach these levels in a different way that prioritizes you. We offer you a single teacher that speaks your language and that can observe directly your level and evaluate your skills improvement during your vacancy. They assure you will go back home with new surfing skills and predominance! We also provide a complete Spot Guide in Fuerteventura for our visitors, especially in the north shore (the northern street of the Island is an incredible coastline road near the sea that goes through the middle of stones and volcanoes, giving you a Martian scenery). We offer boat trips, submarine tours around the Island and canoeing to Lobos. We also offer quad, bicycle, fun buggy and motorcycle riding so you and your companionship can appreciate the beauty and uniqueness of our Island in so many different ways! See our tips for Flight to Fuerteventura and take a costant cheque to our Accomodation in Fuerteventura for new prices and resources. Please Contact Fuerteventura Surf Camp for any questions or call now +34633168995!!! Powered By GMCFuerte © 2014. All Rights Reserved.